Facebook is great for sharing pictures, staying in touch with family, and finding old high school friends, but it can also be a productivity tool by sharing files with friends. Facebook is great for sharing pictures, staying in touch with family, and finding old high school friends, but it can also be a productivity tool. While the messaging service is convenient, on often overlooked feature is the ability to share files with friends and colleagues. 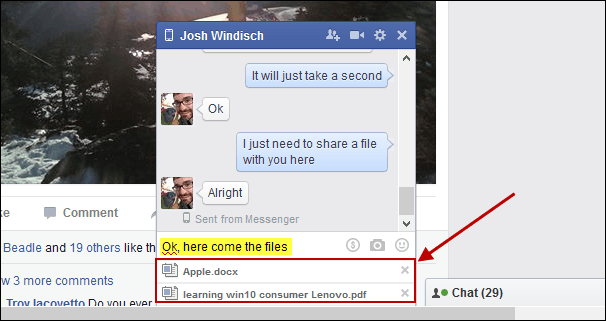 The process of sharing files with others is simple, once you know where to look, and there is a couple ways to do it. 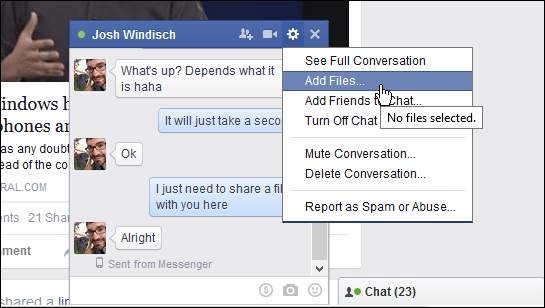 Open the chat box with the friend you want to share files with. Then, click the options button (gear icon) at the upper-right corner of the chat window and select Add Files. 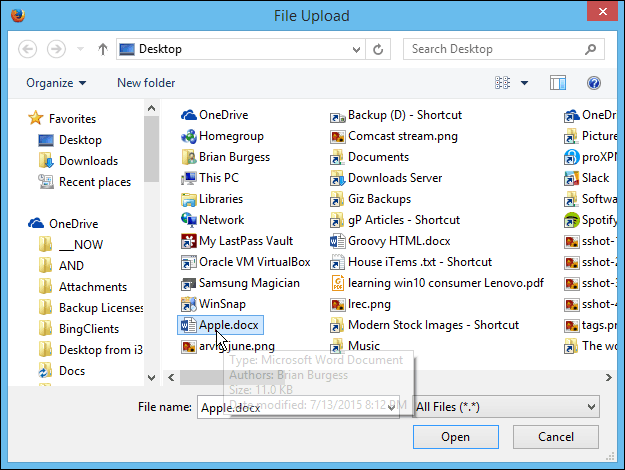 That opens File Explorer and you can browse to the location of the file(s) you want to share. 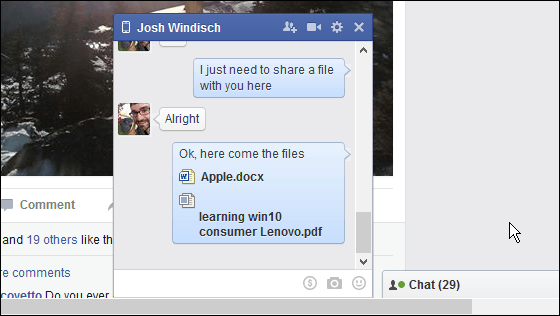 Yep, you can share multiple files. 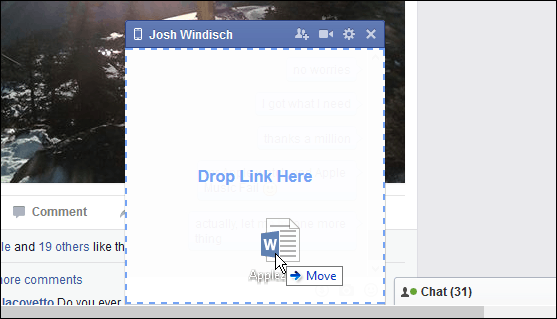 Or, if a file is readily available, you can simply drag and drop it in the chat window. Either way you go about it, you will see the files sitting in a sort of queue at the bottom of the chat window. At this point your friend can’t get them, you need to share a message with them first and hit Enter. Then you will see the files as a bubble in the chat window like in the shot below. That’s all there is to it! It’s definitely not a full fledged productive tool like Slack. But who ever thought that Facebook could seriously be used for something more productive? What’s you’re take? Would you use Facebook for being productive, or maybe just use it in a pinch? Or maybe not at all since you really don’t trust Facebook with anything? Leave a comment below and let us know your thoughts.